Arizona's largest business opinion poll was announced this week! BNP is thankful to be rated in the the following categories; Best Workplace Culture, Best Places To Work, Graphic Design Firm, Social Media/Marketing Firm, Architectural Firm, Interior Design Firm! Another big congratulations to our client, SSP America who has been awarded two contracts by the Salt Lake City Department of Airports (SLCDA) to develop and operate a total of six concession spaces at Salt Lake City International Airport. The contracts will see SSP America introduce a collection of award-winning local brands anchored by a fast-food brand with a national presence. Cheers to SSP - We are grateful to work with you! New Restaurants Landing at YVR in 2020! Vancouver Airport Authority revealed more than 20 new food and beverage concepts and 10 new retail spaces that will be arriving soon at YVR. We invite you to click here to see what new restaurants will be landing at YVR in 2020! This includes BNP designed, Hawksworth Kitchen, Whistler Brewing and Steamworks! Cheers to everyone involved including the talented team at SSP America! A big congrats to the SSP America Team and their Vancouver International Airport announcement! We are grateful to continue our partnership with them on this exciting project. The 3D rendering above is of Hawksworth Kitchen, just one of the many amazing restaurants coming to YVR in 2020! 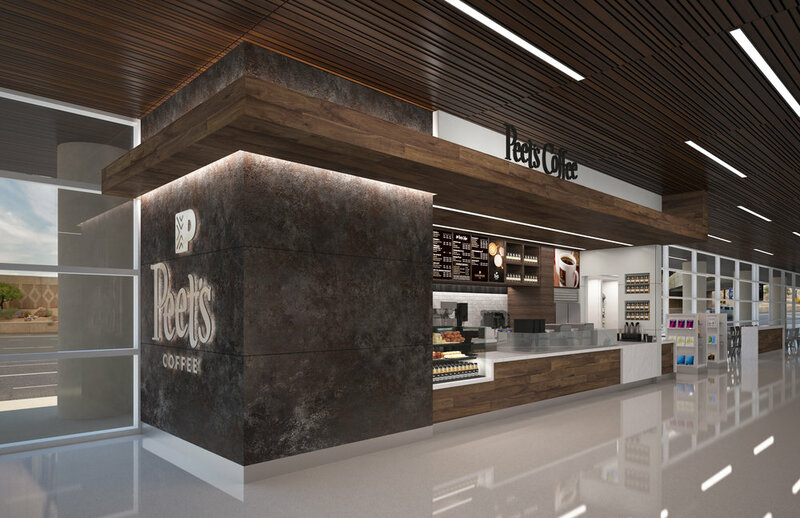 Patrons of Legacy Hall will notice new enhancements throughout the food hall. Bar Napkin Productions had the pleasure to add an upgraded lounge component to the newly renovated Blush Wine Bar. If you are in the great state of Texas, we encourage you to stop by Legacy Hall for a full service dining experience! Bar Napkin Productions is so thankful to be listed as an NEWH 2019 TopID firm! 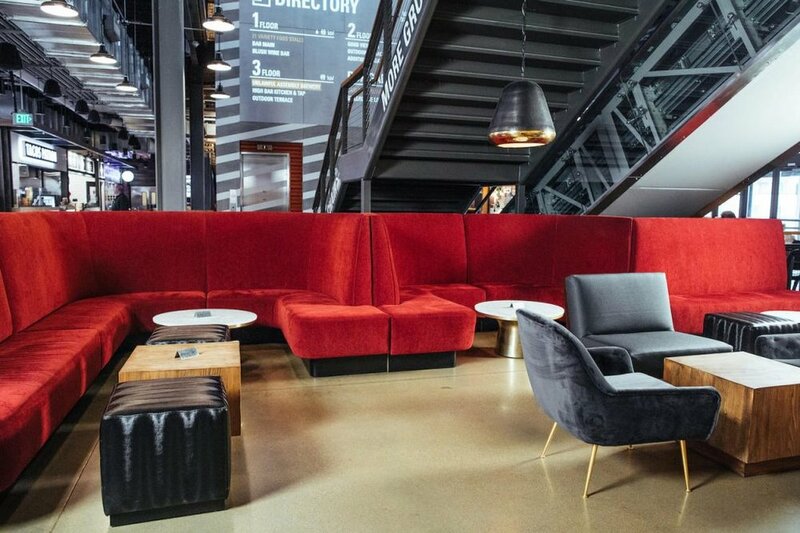 We are honored to share this recognition with other hospitality design firms from around the country. Make sure to check out the latest issue of NEWH Magazine. "Passenger Terminal Today" highlighted the new restaurants we worked on at Phoenix Sky Harbor International Airport's Terminal 3! The image above is actually a 3D render from our 3D Design team. Click here to learn more about the new and approved Terminal 3 along with our partnership with SSP America. Thank you Airport World for mentioning the restaurants we worked on in the new Terminal 3 at Phoenix Sky Harbor International Airport. 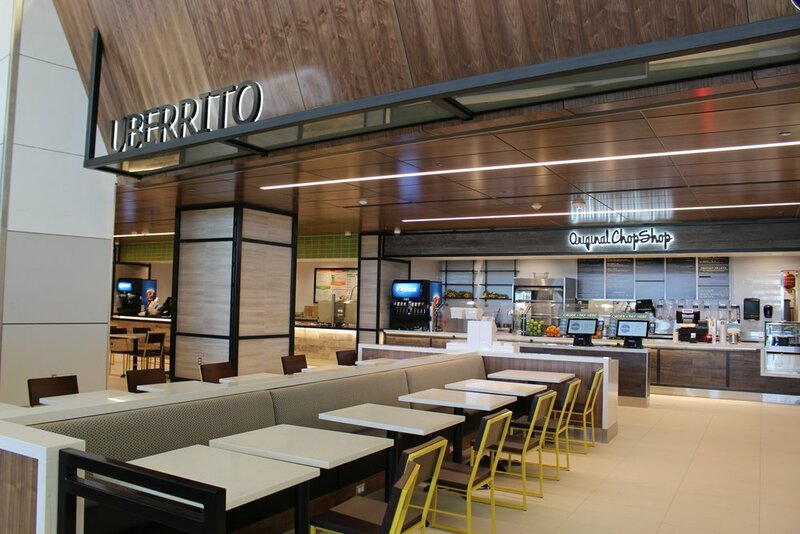 We are so proud to play a part in creating restaurant spaces within the new Terminal 3 at Phoenix Sky Harbor International Airport!